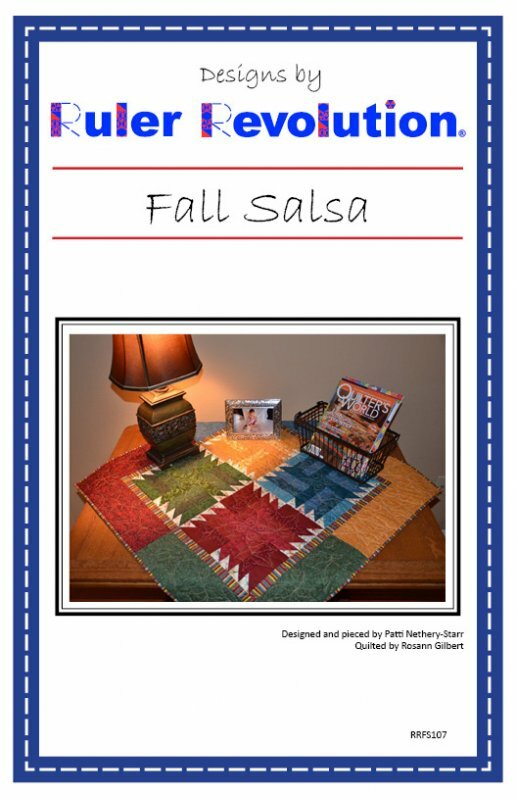 Using the Ruler Revolution 2" Sticks and Stones ruler, the changing colors of the fall season blend together perfectly as if they are creating their own salsa. Whip up this colorful table topper in an afternoon. Use Christmas fabrics to add “merry and bright” to your holiday table.